To get people into the mindset of gifting for teens, we caught up with Equestrian Ambassador Maddie Taylor on all she wants for Christmas - from luxurious wishes to the simple and fun winter necessities. 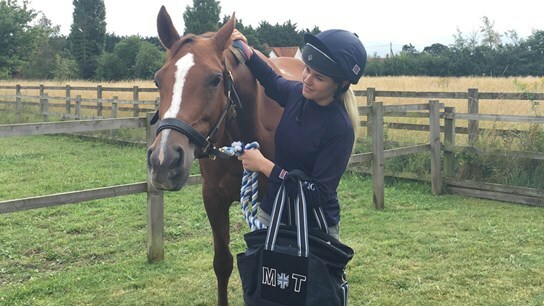 As a twenty year old business student who juggles university with a competitive young rider eventing career, Maddie seems to have the answers to teenage gifting sorted. 1) Club L Night Mermaid Blanket, £32.00, ASOS. This Christmas present will be an instant win with any girl - whether in their university halls or at home. 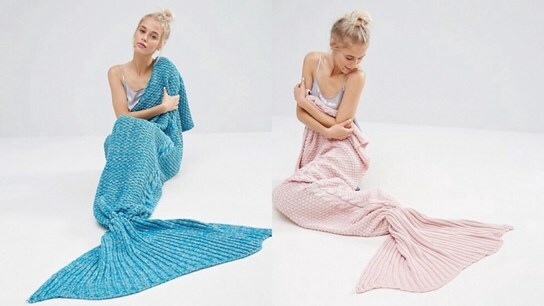 With the nights getting longer, darker and colder, these beautifully knitted blankets are not only cosy, they bring us one step closer to feeling like a true mermaid in real life. Have a mermaid tail AND be warm all at the same time! The blankets are for sale exclusively on ASOS by the label Club L. They come in four different colours - turquoise, pink, green and grey, and make the perfect lazy afternoon combined with a blazing fire, chocolate and a good film this Christmas. 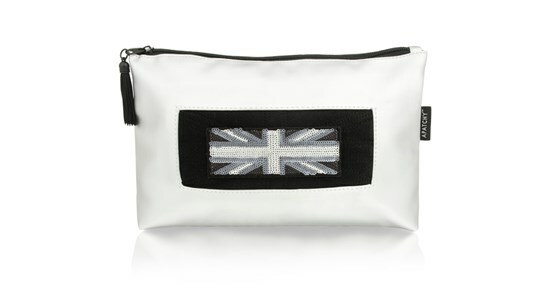 Apatchy's new silver wash bag is a much needed Christmas gift to carry around all my cosmetics to and from uni. They can be personalised with stunning sequin initials, however I love this subtle matte sequin Union Jack patch, to give it a more sophisticated and luxurious feel. With a matching holdall that I use regularly at the gym, this large wash bag will be a great accompaniment to use after workouts, with dividers inside to separate any makeup from my shampoo, conditioner and body wash.
As an added bonus, this wash bag has a great lining to protect against any spills or mishaps with powder. The outside can be easily wiped clean, and if it's anything like my gym bag, scuffs rub off to make it look good as new - perfect for when I take it eventing with me and it stays in the lorry. 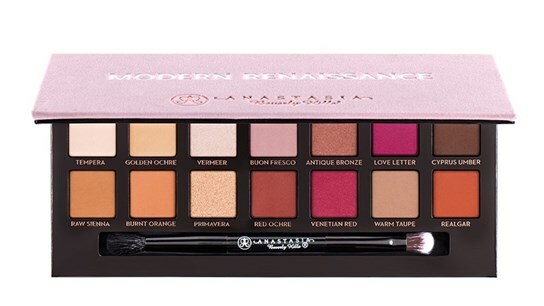 3) Modern Renaissance Palette, £37.75, Anastasia Beverly Hills. Although Anastasia Beverly Hills is renowned for creating the 'brow revolution', he eye shadow kits are truly worth every penny. The neutral and berry tones of these 14 shades can combine to create a variety of looks for both daytime and evening. Used among many trustworthy celebrities, from Victoria Beckham to Kim Kardashian, this collection is highly pigmented and easy to blend, with three metallic shades perfect for the festive party season, as well as 11 matte shades from velvety beiges to crimsons and ambers. 4) Quilted Puffer Jacket, £70.00, Topshop. A cold weather essential, especially in between lectures on campus! This classic puffer from Topshop looks luxurious and sturdy enough to wear every day during the cold Christmas months. 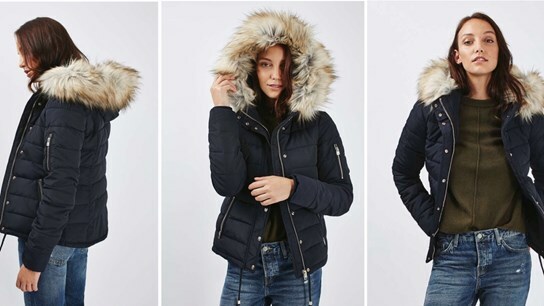 The fur trimmed hood gives an extra cosy look, and it can be worn with absolutely anything - but will definitely be worn with cosy jumpers and ripped jeans for a cool and casual look. The fact that it can be machine washed too means that it can be worn over and over again without the worry and hassle of sponging down or dry cleaning! 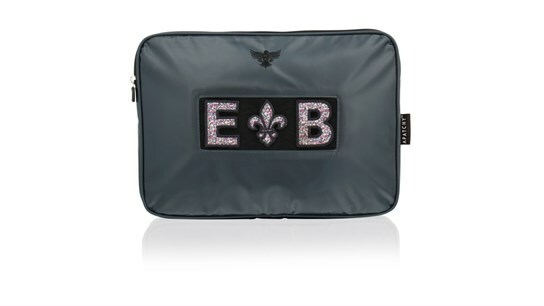 5) Personalised Laptop Case, £30.00, Apatchy. My laptop comes with me wherever I go when I'm at University - from the library to lectures back to my house to watch movies or carry on with essays. This means it's important to look after it - and as it is always seen - nothing looks better than inside my own personalised laptop case! The liberty letters combined with the navy tarpaulin material looks so pretty, and as it would comfortably fit my thirteen inch Mac, I could also put my charger and lecture notes inside the inner pocket. It would make the perfect gift for girls this Christmas, particularly as laptops are used on a daily basis rather than thick books and pens and paper nowadays, meaning the case would be seen wherever the lucky recipient went! Owning a pair of De Niro riding boots is a true sign of knowing that you've truly made it in the equine industry. One of the best known Italian brands for elite riding in all equine riding elements, the Cleopatra De Niro long riding Boot, is made from the finest Italian Calf Skin Leather and use advanced water resistant technology. As Joshua Jones have 12 years of fitting experience, it is best to visit them at an event to have these bespoke boots fit like a glove. The fact that they are made to fit your very own feet, and nobody else's, says a lot about the type of gift that this would make. They also come with a lifetime repair service, something that only Joshua Jones can boast. 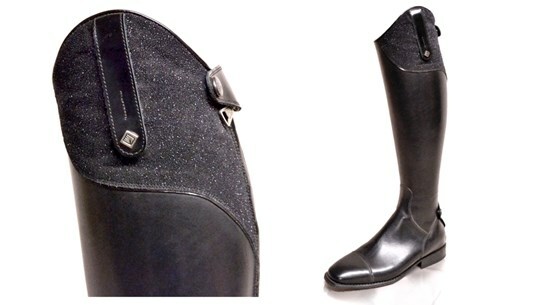 This Particular De Niro Boot features a soft Vitello Black leather and a curved top finished in black stardust. All boots come with Vibram Soles, available with or without laces. 7) La Boheme Rose Gold White/Grey Watch, £79.00, Cluse Watches. 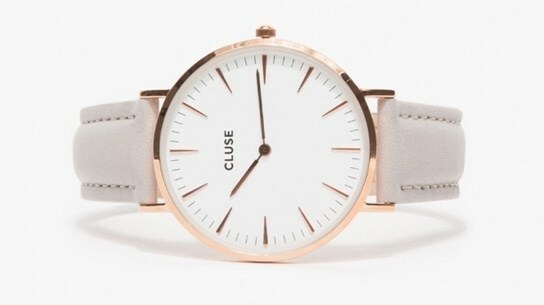 Cluse watches are beautiful, elegant designs modeled around simplicity. The La Boheme rose gold watch is top of my Christmas list, as it can be worn with any jewellery, and in the evening at parties and events or during the day. Watches are always a statement gift to any girl, both practical and as a beautiful piece of jewellery. This watch would not only help me function day to day with my busy schedule, it would also add a touch of elegance to any outfit. 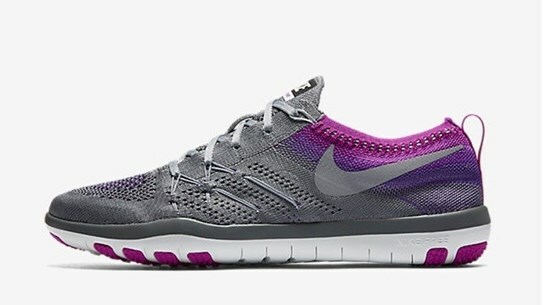 8) Nike Free TR Focus Flyknit, £110.00, Nike. As an avid gym bunny, I am constantly in my gym gear, and nothing gets me more motivated than brand new nike gear! Nike's new flynit trainer range seem to be flooding the gyms at the moment, and they not only look cool and professional, they seem lightweight and more streamline than other trainers, making your feet feel more supple and supported. With new 'free sole technology', which incorporates triangular flex grooves for improved mobility, these flynit trainers are worth the investment for improving the feel of training and overall fitness. 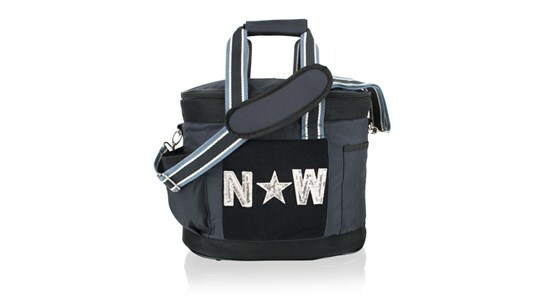 9) Personalised Grooming Kit Bag, £45.00, Apatchy London. I was lucky enough to be gifted Apatchy's personalised grooming kit bag, but it makes an extremely unique and thoughtful gift for any rider, which is why it has to feature in my gift guide. With enough pockets to organise all your brushes, sponges, treats and plaiting kit, this personalised grooming kit bag is a perfect travel companion, particularly to those who are out and about a lot. With the ability to personalise it with a range of patch designs, from champagne or silver sequin letters, to plain navys and reds, this personalised grooming kit bag from Apatchy looks incredibly smart standing outside the lorry or on the yard, and once again makes an unusual gift for any rider. 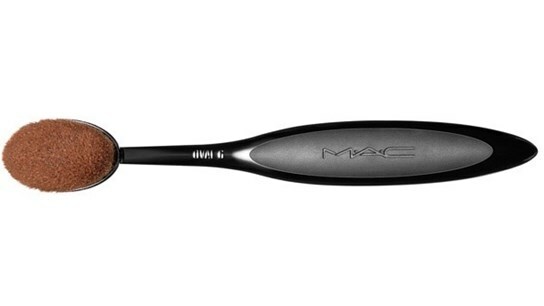 10) Oval 6 contour Brush, £34.50 MAC Cosmetics.  This contour brush from MAC cosmetics is aimed to create a flawless finish to your daily look, and is ideal for blending and contouring foundation or powder. For even coverage, the brush also has unique features, including a handle with a special grip design and tilted brush tip for ultimate precision. It would make a great Christmas present for any girl, as it is practical for every day use, but gives off that luxurious branded feel to ensure the gift is making it easier to look as amazing as the mac models themselves!